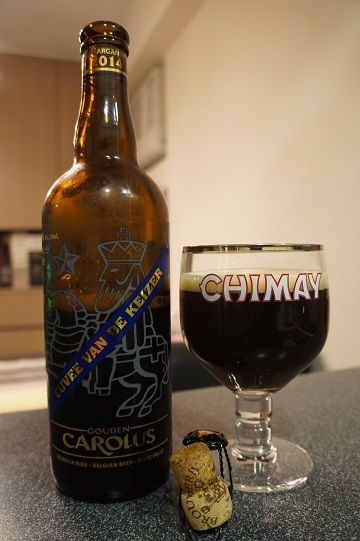 Brewer Description: (from the bottle and booklet around the neck) Gouden Carolus Indulgence [Indulgence, noun, \in-’dәl-jәn(t)s\ something that is done or enjoyed as a special pleasure] is a limited series of beers brewed every year with varying content. These ‘Indulgence’ brews are exclusive delights to be savoured at special moments or shared with special people. Cuvée Sauvage is the 2nd taste to be produced under this label. 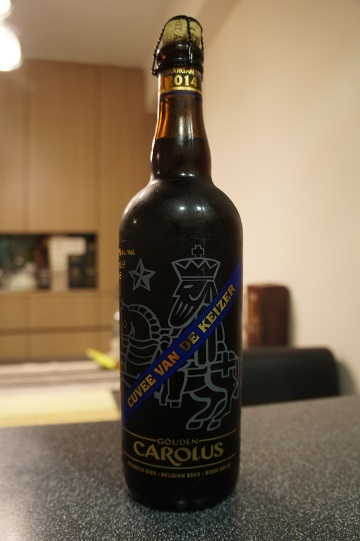 Gouden Carolus Cuvée van de Keizer Rood was blended with 2- and 3-year-old Lambic (20%) from the Boon Brewery (Lembeek). This union combines the best of two brewing traditions: full-bodied and subtly flavoured, fruity and refreshingly sour. 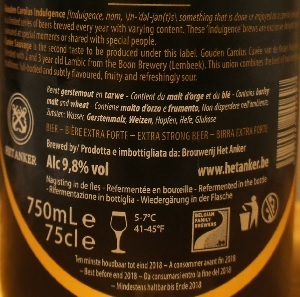 The 2-year-old Lambic comes from oak foudre N°21 (9,000L). 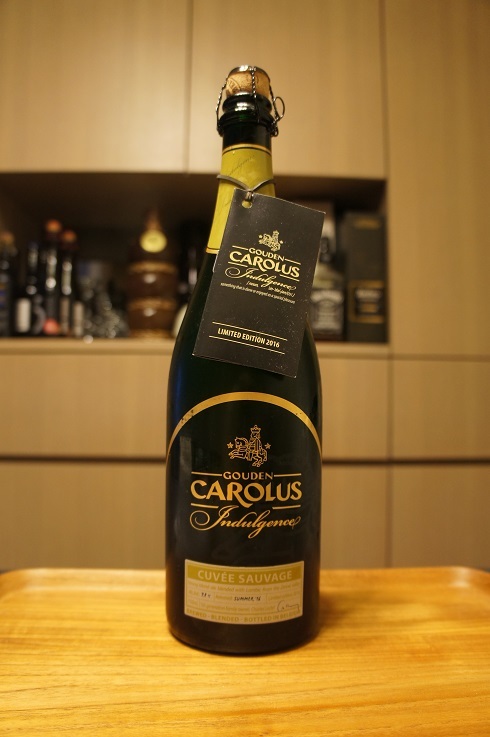 It offers aromas of apples, citrus fruits and oak. 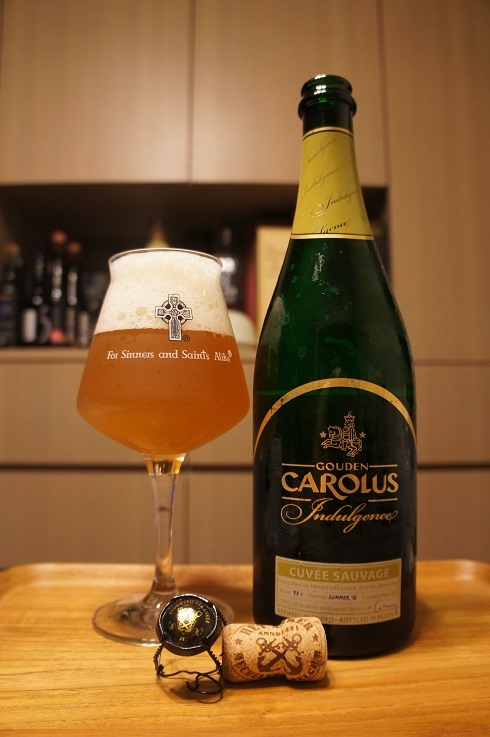 The 3-year-old Lambic has aged in oak pipes (600L), and contains more volatile acids that give the beer a powerful, full-bodied and vinous taste with a slightly smoked touch. Intro: A 750ml corked and caged bottle, released in Summer ’16, with a best before end 2018 date. Poured into a Lost Abbey teku glass. 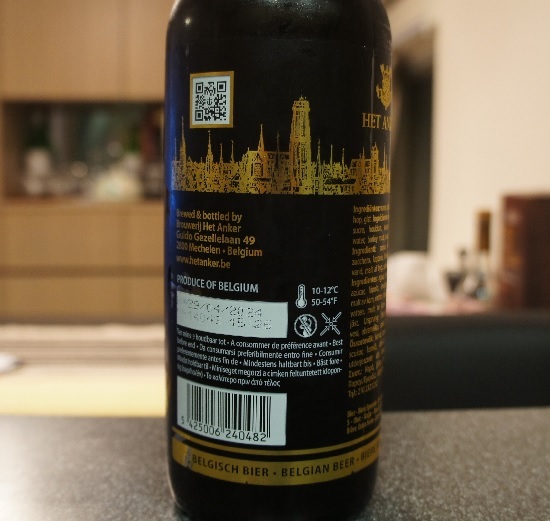 Appearance: A slightly hazy golden orange colour with a big almost three finger off white head that had pretty good retention and left lots of nice lacing. Aroma: Sweet champagne-y, sour fruit, peach, pink lemonade, sparkling apple cider, lemon zest, light oak and hints of funk. Taste: Moderately sweet, champagne, peach, lightly sour, lemonade, lemon zest, apple, pineapple, Belgian yeast and a mix of spices. Mouthfeel: Medium bodied, moderate to high carbonation and a dry finish. Overall: Quite nice overall, but I’m unsure of the necessity to make the ABV so high. 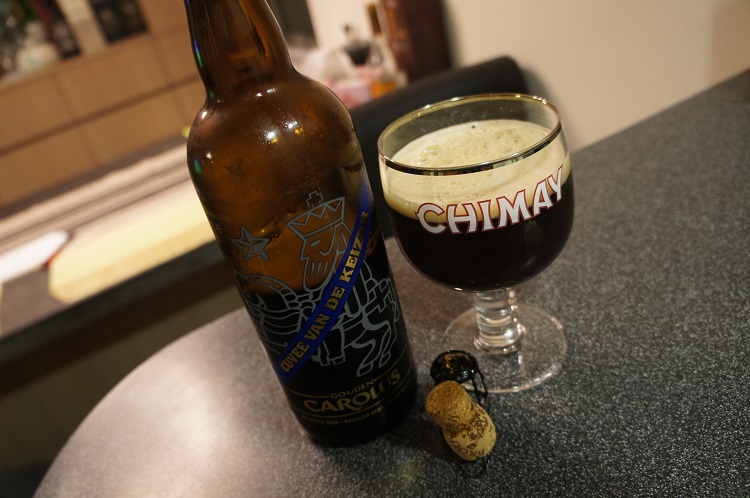 With its aroma and flavours, I would have preferred an easy drink rather than one that’s more like a sipper.